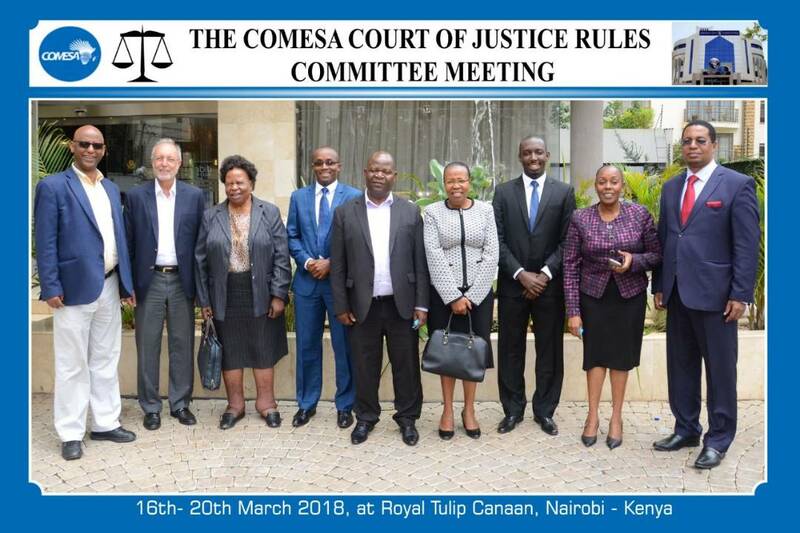 The COMESA Court of Justice Rules Committee met in Nairobi, Kenya from 16-20 March, 2018 to review the Court’s Arbitration Rules (2003). The need for review has been necessitated by the fact that the Court’s Arbitration Rules (2003) needed to be updated to capture modern best practices in international Arbitration. There was also the need to simplify and improve their readability and make them more user- friendly. When the current Arbitration Rules (2003) were formulated, the Court had a single division. However, in 2005 a two-tier system that established the First Instance Division and Appellate Division was adopted. It was, therefore, necessary to amend the Arbitration Rules to streamline and bring them in conformity with these changes. The Judge President, Honourable Lady Justice Lombe Chibesakunda, while addressing the meeting stated that the Court was keen on taking steps to achieve effective dispute resolution within the COMESA region and that therefore, amendment of the Arbitration Rules would be instrumental in achieving this objective. The Court has currently amended its Rules of Procedure (COMESA Court of Justice Procedure Rules 2016) and amendment of the Arbitration Rules will be yet another milestone in promoting access to justice and fostering regional integration within COMESA. Dr. Kariuki Muigua, a consultant in the field of Arbitration and who prepared the initial draft led the discussions and explained at length what changes he had proposed such as Emergency Arbitration Procedures and why they were necessary. The draft that was formulated by the Rules Committee will be further discussed at a plenary during the Administrative Meeting of the Court comprised of the full bench, before submission to the Legislative Drafting Sub-Committee that is comprised of legislative drafting experts from Member States.